In a place like Nigeria, as well as most part of the world, if a woman is beautiful, automatically people believe every thing that comes her way is as a result of her beauty. Caroline thinks that is totally wrong. 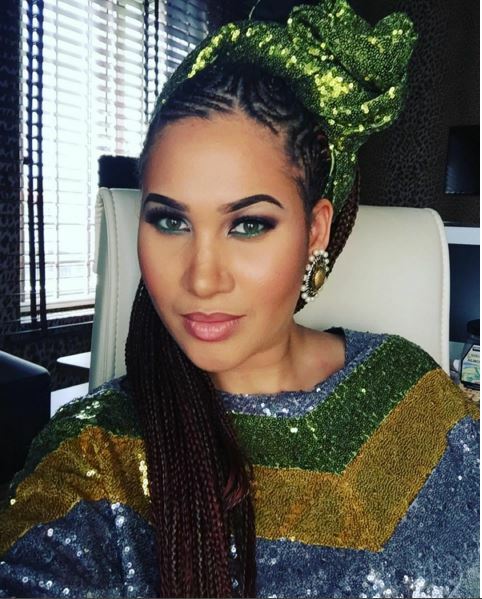 Popular Nollywood actress, Caroline Danjuma, who has been criticized by many to be popular because of her beauty, she says that is totally wrong assumption. She has come out to debunk that. She say, she is being featured in movies because she is capable and not because of her physical appearance. Miss Danjuma, who returned to acting recently in a TV series, Royal Castles, reveals that she contributes more than a beautiful face to the movie industry. “It is really tough for producers. I won a lot of awards for the two movies, In the Cupboard and Stalker, I produced three years ago, but I didn’t recoup the money I invested in them. Piracy makes producers struggle to get returns on investments. We also have very few cinemas in the country and the existing ones rip you off by taking 70 per cent of the profit of your creative work.